I have always thought negatively of the word consume. 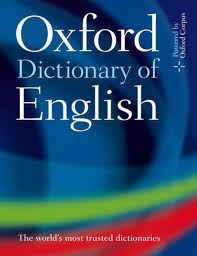 I blame the Oxford English Dictionary (OED), whose first two definitions are; destroy or expend and; spend wastefully. The OED knows both interpretations all too well – no edition of the world’s finest dictionary has ever made a profit in its 135 year history. Pls stop consuming (spending wastefully) my budget. U R consumed (destroyed & expended) by time-consuming word research. Simply look up all the words in a dictionary – duh! The lexicographers, who have the lowest job transferability of any known profession, would be impeccably polite in their replies, concealing their vitriol behind scathing insertions of the word sic. The negative connotations of consume don’t stop there. Even scrolling down to the ‘eat’ definition inspires visions of gluttony or its opposite extreme: that bland soup, consommé, watery enough to serve to homeopaths. But the main reason I don’t like consumption (no, second main, behind coughing up blood in old movie scenes) is that it causes flashbacks of interminable hours spent in my least favourite places—huge shopping complexes. Every time I enter their air-conditioned jaws, my legs quail, presumably afflicted by that low consumer confidence they’re always referring to on the news. Finally, consume can mean devour, as in ‘consumed in the fires of hell’, but here I go discussing shopping complexes again. The reason I highlight the word is that recently I have discovered a most positive connotation. 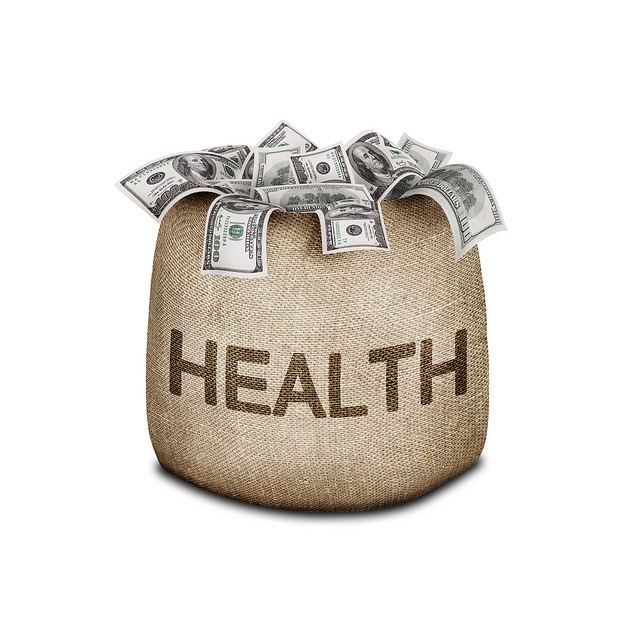 Health consumers. Having previously dismissed them etymologically as people who devour their own health, I now recognise them as the very reason I entered my profession. I have just attended my first Consumer Health Forum of Australia conference and, closer to home, have been on the Queensland Clinical Senate with Health Consumers Queensland. I find consumer reps pleasant, passionate and often the most sensible voice in the room. I was half suspecting the CHF consumers might forever be advocating for ‘more, more, more’, thereby giving me flashbacks of my shopping complex complex. But no: speaker after speaker emphasised the need for balance – for disinvestment in medical practices which are unhelpful or give minimal ‘bang for their buck’, instead shifting the resources to high-value areas, including primary care. So many of my pet themes were there, I wondered if Mike Munro was about to jump out to tell me ‘This is your life’. The discriminatory nature of the GP co-payment; making conflicts of interest transparent (I wrote the recent RACGP transparency submission to the ACCC); systems for meaningful patient feedback (Patient Opinion is certainly worth a look); and the Choosing Wisely campaign. When I trained in the ‘80s, no one ever suggested patients should be given a role in actually deciding anything about health systems. That was left to the experts. The AIDS 2014 Melbourne conference reminded us that ‘HIV activists’ were the first to crowbar open the windows and let in some fresh air. We all breathe easier for it. As I age, my passions increasingly align with those of health consumers, although some fellow doctors might harshly (and probably accurately) assume I am merely getting grumpier. When it comes to self-interested medical advice, over servicing or rapid-throughput medicine, chuck me that crowbar. There’s a circle at the centre of every health system flow chart and you and I, doc, ain’t in it. It’s a consumer affair. This entry was posted in medical writing and tagged consumer, health, humour, Medical Observer, RACGP, transparency. Bookmark the permalink. Denial of the powershift is the stance taken by many of Canute’s followers, and indeed anarchic reform is not without risk. The Florey Institute research projects appearing on Pozible have had mixed results, and crowd-funded self-recruited studies would have even Peter Goetzsche sitting down and asking for a vodka. But theCochraneLibrary.com bridge between research and the health consumer is already showing benefits among social media based patient support groups. Prof Petersen spoke at an endometriosis booklaunch of the merits of PatientReportedOutcome sites, and none can deny the attractiveness of 279,000 subscribers to one such PRO diligently reporting meds, path results, BMI, subjective outcomes etc for research. There is still a long way to go – not many practitioners would deny the difficulties in advocating the average patient take just a little responsibility for their own health outcome. It assumes that people have a choice; that they are informed about all the options and are sufficiently health literate to understand these and their implications. Firstly, we don’t generally choose to be sick. It makes us vulnerable. Feelings of pain, fear, shame and desperation may cloud our judgement and ability to make choices. I shudder when I recall how easily my parents submitted their credit card details for shonky treatments that promised to ‘cure’ their Parkinson’s, blindness and encroaching dementia. Of course, we have the choice to seek a second opinion regarding our medical treatment, …unless we’re living in a regional or rural community, where that ‘choice’ may be limited or several 100 kms drive away. A healthy bank balance certainly adds to one’s ability to choose. Also, how much choice do you really get if you’ve been diagnosed with a mental illness? You may be treated against your will, but with the best of intentions to prevent you from hurting yourself or others. I do recall being confronted with all the choices about giving birth – epidural or no medication; ‘natural’ or caesarean… As much as I would have loved a natural birth, when crunch-time came and my baby was stuck and distressed, I did not have the energy to insist on my choices, nor did I wish to. I placed my trust in my doctor, who probably saved my life and that of my baby. I’m grateful he did. Thanks Florienne – you make some good points. I know what you mean about the phrase ‘health consumer’, although I am happy to use the terminology they prefer, just as I’m happy to use ‘Aboriginal and Torres Strait Islander peoples’, even if it sometimes plays havoc with tight word counts in titles! In the end, it’s not my call. All the terminology changes over time, and most ‘people-labels’ have a short use-by date. Think of how many labels have preceded ‘people with learning disability’, and ‘CALD’. Not many of these people-labels last more than a decade or two…come to think of it, that’s a new blog topic right there!